Alexander Troller joined LALIVE in 1997 and is a partner since 2003. He specialises in litigation, with particular emphasis on financial matters, corporate and shareholder disputes, white collar crime, estate and inheritance disputes, employment conflicts and more generally, asset recovery and judicial assistance in civil and criminal matters. On the non-contentious side, Alexander Troller routinely advises corporations and individuals in the structuring and financing of transactions and partnerships, the establishing, purchase and sale of businesses and the planning of estates. His broad litigation practice gives him a strong understanding of the full business cycle and the related needs of his clients. He has expertise in a wide range of industry sectors including private clients, banking & finance, natural resources, utilities and infrastructure projects. Alexander Troller is a member of numerous professional associations including the Swiss Society of Jurists, the Geneva Association for Business Law and the Geneva Society of Law and Legislation. In 2004, he was appointed as Senior Special Fellow to the United Nations Institute for Training and Research (UNITAR) for the legal aspects of the public debt and financial management programme for developing countries, where he acted as expert-consultant, leading multiple training seminars to Ministry of Finance and Central bank officers in Africa and Central Asia. In 2012, he was elected by his peers to the Council of the Geneva Bar Association, where he served until 2018. Before joining LALIVE, Alexander Troller held various positions in the commercial and in the banking sector (in commodity finance), including with Banque Paribas in Paris as a structuring officer, International Trade Engineering and Commodities & Trade Finance Departments (1994-1997), Firmenich Inc. and Firmenich SA as legal counsel in New Jersey, USA (1994) and in Geneva (1993). He graduated from the University of Geneva in 1989. A go-to lawyer for high-value banking disputes who impresses peers with his broad experience representing major clients from the financial sector. Clients appreciate that Alexander Troller "is very logical" and "gives the right advice every time." They also highlight his "authority and charisma." Alexander Troller is “a very reactive and intelligent lawyer” who possesses “just the perfect match between legal technicity and a pragmatic sense of business reality”. "An exceptional practitioner with unrivalled technical expertise". Alexander Troller is "very knowledgeable in all the needed areas" and "very thorough in his research." 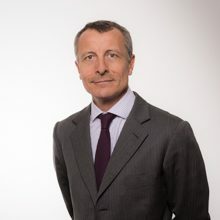 He has experience advising on a range of cross-border litigation cases concerning civil mismanagement, collective investment schemes and compensation claims. His client roster includes private individuals and companies from the oil and gas, finance and e-commerce sectors. Alexander Troller boasts a great reputation as one of the pre-eminent names in the field. Peers describe him as an “exceptionally smart” practitioner, and praise him for strong expertise handling asset recovery matters relating to criminal proceedings. Alexander Troller is "client-oriented, responsive, diligent and very supportive". The "very diligent" Alexander Troller is recommended. Alexander Troller is a “talented” and “highly intelligent” practitioner, whose work covers natural resources, utilities and infrastructure projects. Alexander Troller is known for his “intimidating intelligence” and “masterful strategic mind”. According to clients, Alexander Troller "provides practical insight and is very hands-on." He focuses on international litigation and has standout experience of asset recovery, banking and energy matters. Alexander Troller is an “efficient” and “smart” lawyer. Alexander Troller is an “outstanding” lawyer and has a wealth of experience in the natural resources, utilities and infrastructure industries. We recognise the “seasoned expert” Alexander Troller for his “encyclopaedic knowledge” of the energy and natural resources sectors. Alexander Troller is "very commercial, using his experience as in-house counsel to good effect", and has "good client-handling skills". Alexander Troller is extremely responsive and practical. Alexander Troller, a "true expert". Alexander Troller has "excellent tactical sense". The "impressive" Alexander Troller [...] [is] recommended. Alexander Troller is recommended as "one of the best oil and gas lawyers in the world". Infractions préalables au blanchiment, avoirs non-fiscalisés : quelles sont vos obligations légales ? Bank Payment Obligations: The Way Forward in International Trade? Geneva 11/12/2012 Alexander Troller Speaker: Retrocessions: Where Do We Stand? The online course was sponsored by the United Nations Institute for Training and Research (UNITAR), of which Alexander Troller is a Senior Special Fellow. The course extended over four weeks and was attended by 70 participants from all parts of the world, of which 61 successfully completed the course. The online course was sponsored by the United Nations Institute for Training and Research (UNITAR), of which Alexander Troller is a Senior Special Fellow, and organized by UNITAR’s Debt and Financial Management Team. The course extended over five weeks and was attended by 63 participants, of which 53 successfully completed the course. The workshop was attended by about 30 senior executives from the Ministries of Finance and other government of Kyrgyzstan, Azerbaijan and Tajikistan. The workshop was sponsored by the International Monetary Fund (IMF). The workshop was attended by 30 senior executives from the Ministries of Finance and other government agencies of French-speaking Central and Western African countries. This workshop was a joint training initiative of the training pole of the Banque des Etats d’Afrique Centrale (BEAC) and the United Nations Institute for Training and Research (UNITAR). The workshop was attended by 40 senior executives from the Ministry of Finance, the Ministry of Planning, Bank Indonesia and other government agencies of the Republic of Indonesia. It was a joint training initiative of the Australian Agency for International Development (AusAID) and the United Nations Institute for Training and Research (UNITAR). The workshop was attended by about 30 executives from Ministries of Finance and Justice, Attorney General’s offices, central banks, debt management offices, national planning commissions, and commercial banks from English-speaking West Africa (Gambia, Ghana, Liberia, Nigeria, Sierra Leone) and from Sudan. Held in Banjul (Gambia), the workshop was a joint training initiative of the West African Institute for Financial and Economic Management (WAIFEM) and the United Nations Institute for Training and Research (UNITAR). The workshop was attended by approximately 25 participants from the Ministries of Finance, Reserve Banks and Attorney General’s Offices of Angola, Botswana, Kenya, Lesotho, Malawi, Mozambique, Namibia, Swaziland, Tanzania, Zambia and Zimbabwe. Held in Lilongwe (Malawi), the workshop was a joint training initiative of the Macroeconomic and Financial Management Institute of Eastern and Southern Africa (MEFMI) and the United Nations Institute for Training and Research (UNITAR). See full report. The workshop was attended by 16 participants from the Nigerian Debt Management Office, under a training initiative sponsored by Crown Agents and hosted by the United Nations Institute for Training and Research (UNITAR). See full report. The workshop was attended by approximately 40 participants from the Ministries of Finance and Central Banks of Uzbekistan, Tajikistan, Kyrgyzstan and Azerbaijan. It was a joint training initiative of the International Monetary Fund (IMF) and the United Nations Institute for Training and Research (UNITAR). See full report. The workshop was held in Lomé, Togo, and was attended by participants from the Ministries of Finance and other relevant government agencies from the countries of Francophone Western and Central Africa. The workshop was a joint training initiative of the United Nations Institute for Training and Research (UNITAR), the Banque des Etats d’Afrique centrale (BEAC) and the Banque centrale des Etats d’Afrique de l’Ouest (BCEAO).